With almost 50 years of business experience between them, this husband-and-wife executive team runs DetailXPerts’ car and truck washing franchise with technological expertise, savvy business management, and an immaculate track record of business success. Want to find out more? Meet them! Emmanuel is the founder, CEO and engineering mastermind of DetailXPerts’ car and truck washing franchise. He first hit the engineering industry in 1982, after studying at Ferris State University and Detroit Engineering Institute. He has over 25 years of industry experience and holds a resounding list of engineering credentials. These include 1st, 2nd and 3rd class refrigeration licenses; a high pressure boiler license; a certificate in asbestos removal; and 1st, 2nd and 3rd class engineering licenses. Also, Emmanuel is proficient in the mechanics of various types of equipment. Some examples include boilers, turbines, auto-combustion control equipment, refrigeration equipment, dual air conditioning, and heating units. Moreover, he has had the honor of serving the Detroit Board of Education as Chief Engineer. Out of a deep sense of social responsibility and a desire to give back for all the blessings he has received, Emmanuel created an independent school in his church. There he taught technical engineering courses for 5 years. This selfless act helped hundreds of people get their boiler operator licenses, secure jobs, and provide a living for their families. He later started a privately-funded transitional home for recovering addicts. For it he used his household and retirement funds and nearly went bankrupt. This project was bringing families back together providing food, clothes, and shelter; giving families a second chance at life. Angela is the dynamic President of DetailXPerts’ car and truck washing franchise. She is the architect who created the company’s business model and development. Perfecting her business management expertise since 1992, Angela has commanded teams in financial services, sales and marketing, and information and business management industries. Excelling in undergrad and earning a BS in Accounting, Angela went on to achieve a Master’s in Information Management from Syracuse University and an MBA in International Business. Throughout her business career, she implemented cutting-edge technologies in order to enhance financial operations as well as drive corporate initiatives. Skilled in coordinating budgets with strategic planning, Angela makes rapid turnarounds happen. Regardless of her busy schedule and multiple achievements, Angela still manages to volunteer some of her time and talents. She is dedicated to helping those who are disadvantaged physically, mentally, or socially. This husband-and-wife team created DetailXPerts’ car and truck washing franchise with the mission of providing affordable business opportunities and creating employment for unskilled labor while saving the environment. 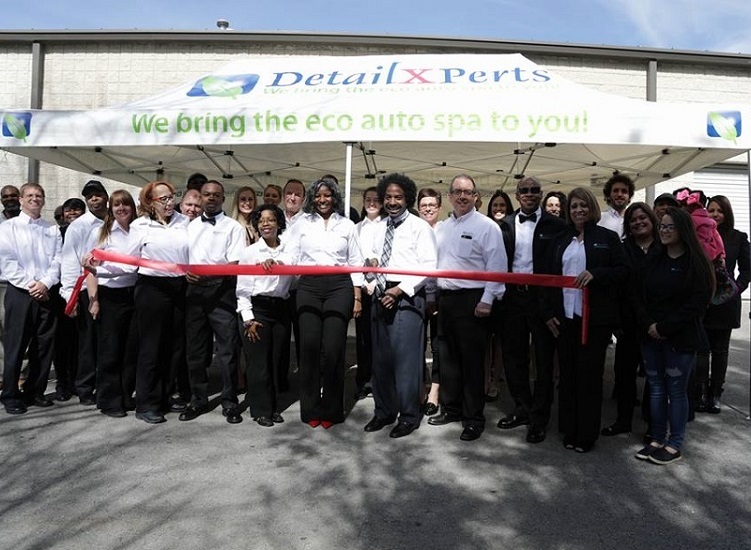 This mission makes DetailXPerts one of very few social-eco-friendly franchises in the U.S. With their combined expertise and experience, Emmanuel and Angela provide DetailXPerts franchisees with all the guidance that they need to efficiently climb the ladder of success.